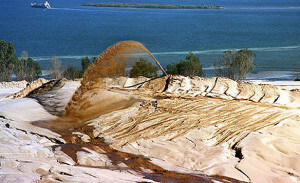 THE state government will amend the North Stradbroke Island Sustainability Act to allow mining on the island after 2025 to 2035. Queensland Mines Minister Andrew Cripps was expected to introduce a Bill to amend the North Stradbroke Island Protection and Sustainability Act in Parliament yesterday. 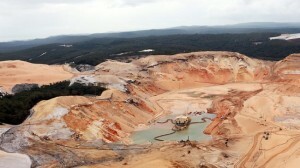 Under the Act, which received royal assent in April 2011, 94 per cent of mining on Straddie was to be phased out by 2019, and all mining operations ceased by 2025. Follow this link to view SCEC's submission: SCEC's submission on Nth Stradbroke Protection & Sustainability Act amendments. and to see the Environmental Defenders Office-QLD's submission here. To find out more details about the irreversible damage sand mining will do to the island, visit the 'Save Straddie' website.